A special dinner held on International Women's Day recognised the achievements of women working in hospitality and events. 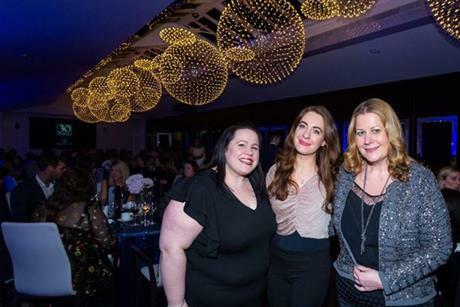 Held at 30 Euston Square, the Year of the Woman gala dinner recognised excellent achievments by women in hospitality and events. More than 80 guests were hosted at the venue’s State Rooms and Rooftop Terrace, where dinner and speeches were held. Guests who were honoured on the night included Euston Square’s female team members, clients and key players in the events industry, and the event offered an opportunity to hear from key speakers who talked on topics about women. Guest speaker and C&IT's senior reporter Charlotte Flach said: "Several female-led agencies are actively seeking to empower their majority female staff to be confident leaders for tomorrow. "We can all do this in our own places of work and especially help those in junior roles to achieve their work and personal goals." Between talks, attendees tried out a specially designed five-course tasting menu, with a variety of plant-based dishes, created by 30 Euston Square’s executive head chef Daniel Broughton.